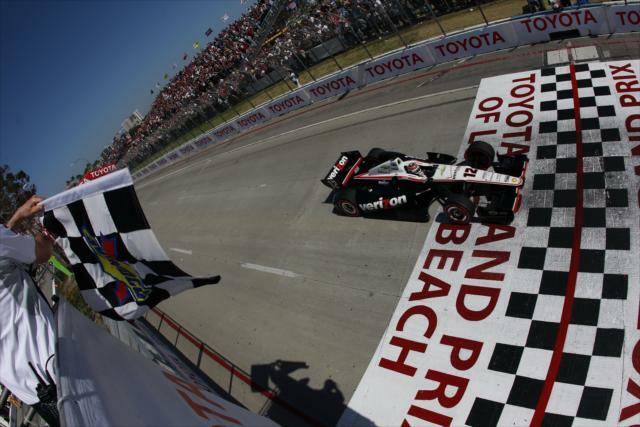 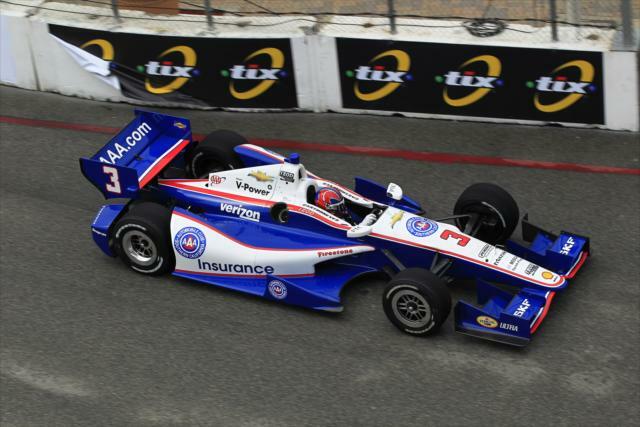 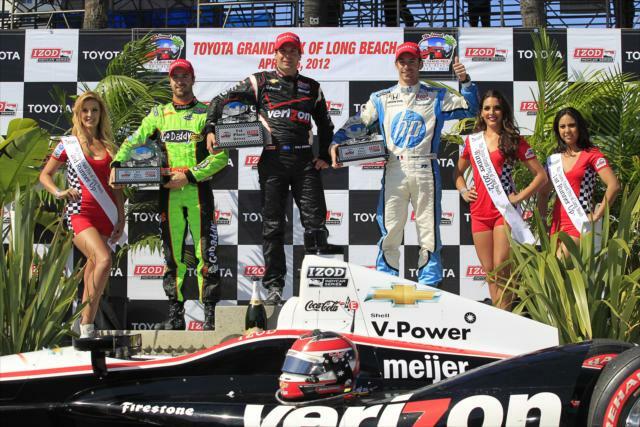 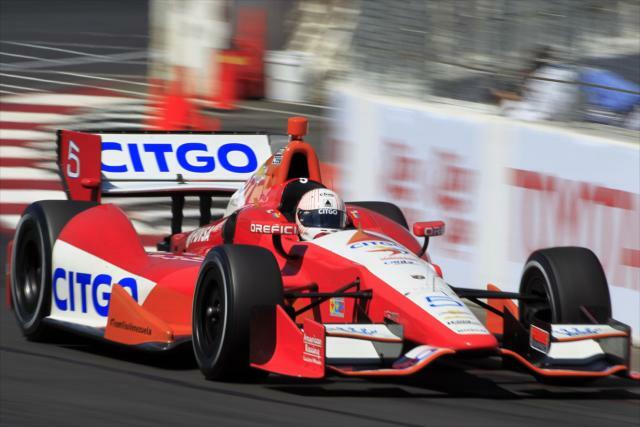 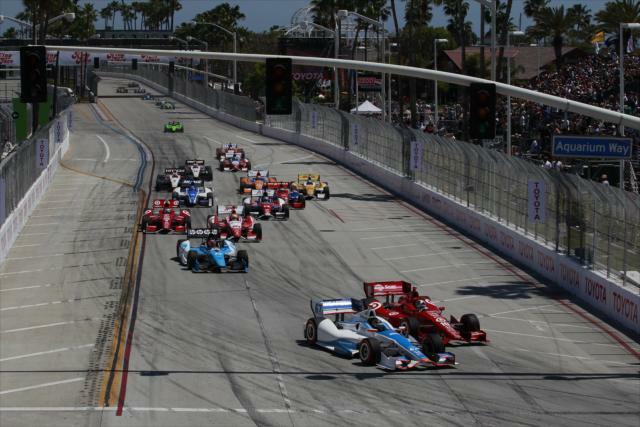 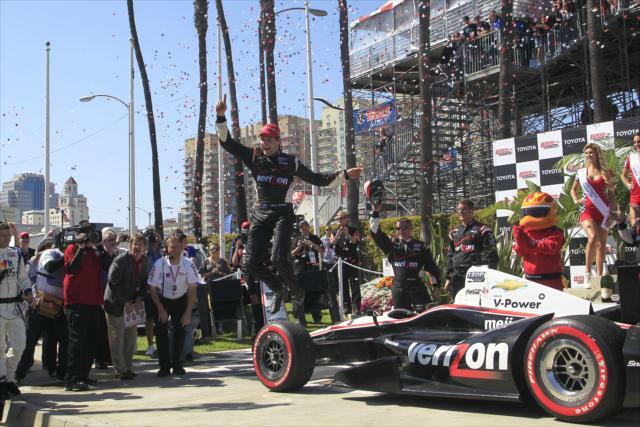 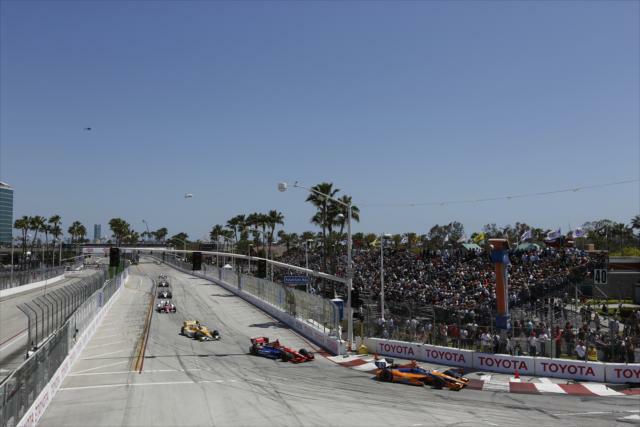 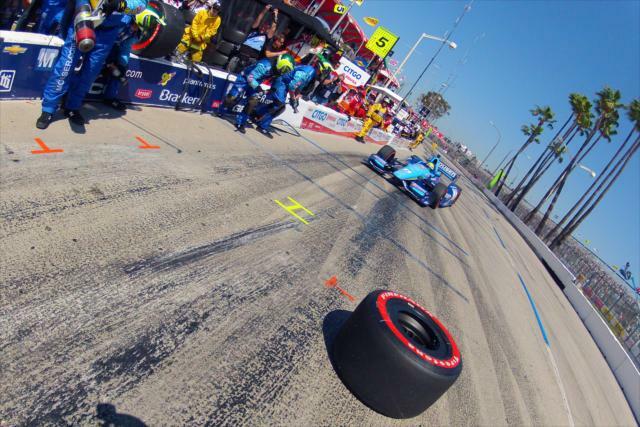 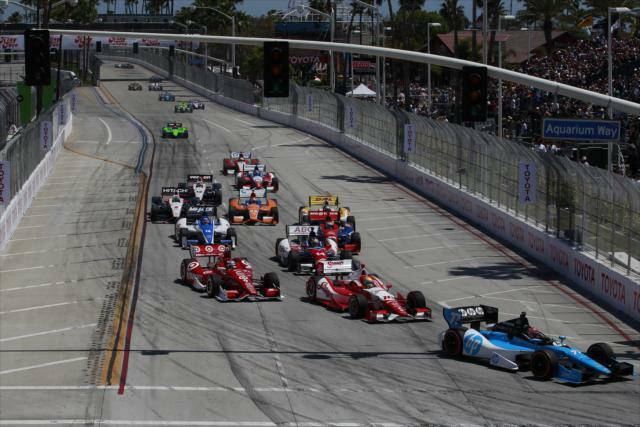 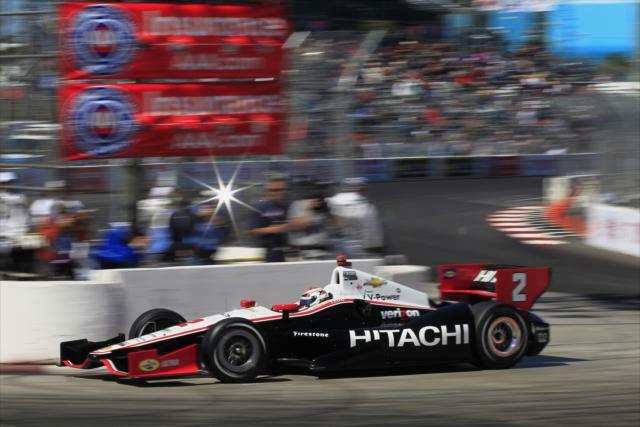 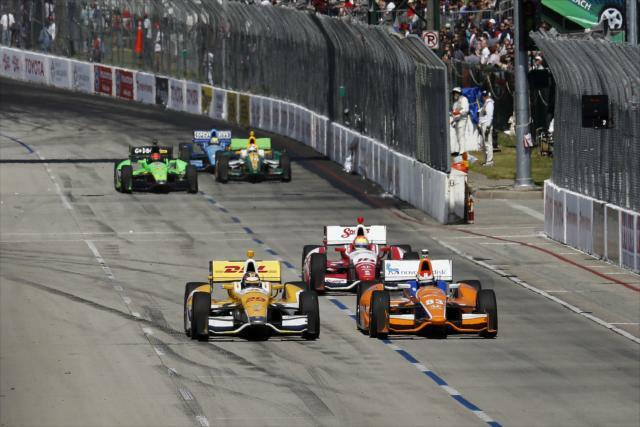 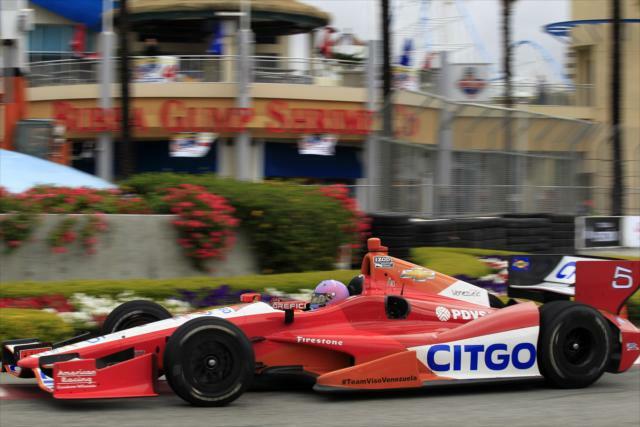 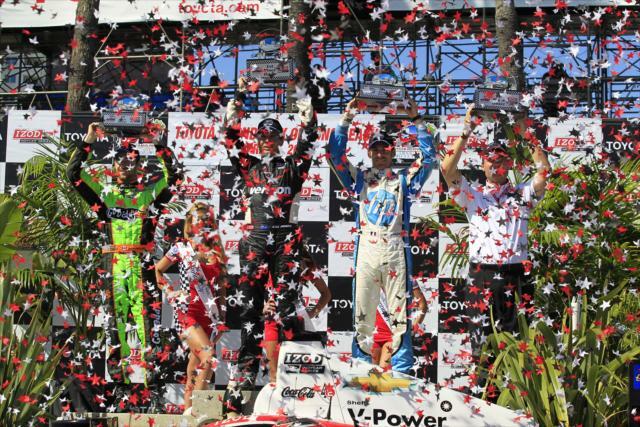 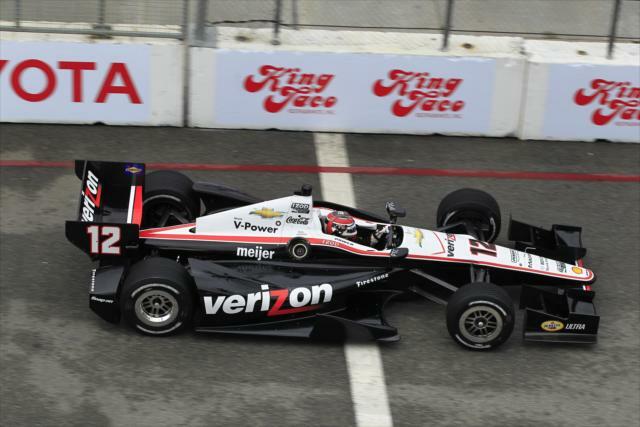 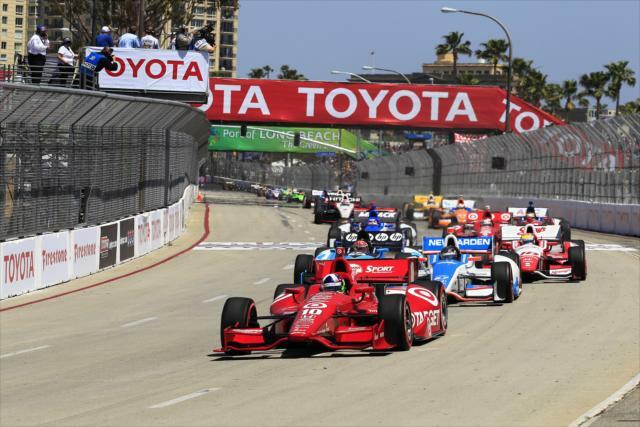 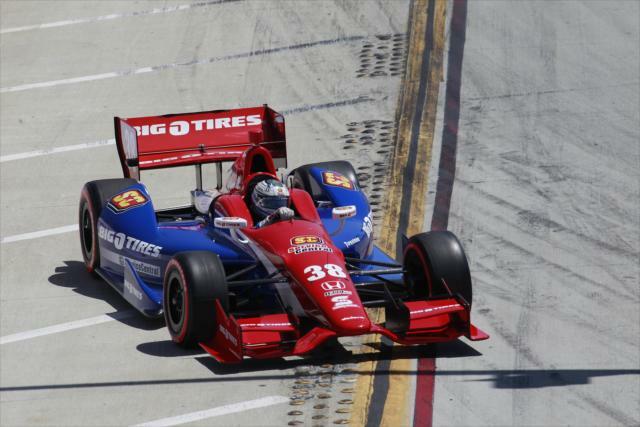 Will Power, who started the 38th Toyota Grand Prix of Long Beach in Row 6 because of a penalty assessed ton all 11 Chevrolet-powered cars for unapproved engine changes, overcame the deficit by stretching 18.5 gallons of E85 the last 31 laps on the 1.968-mile, 11-turn street circuit. 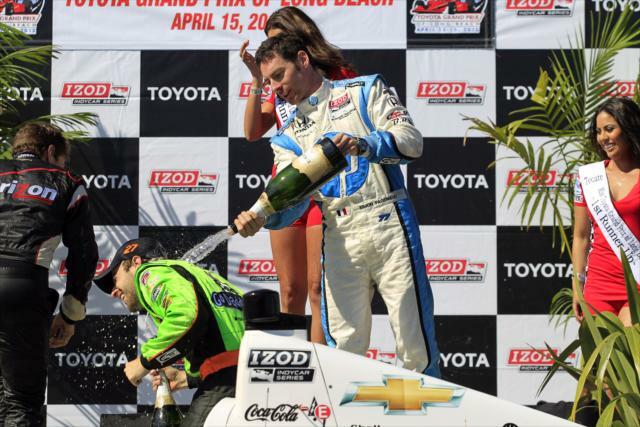 All the while being chased down by Simon Pagenaud. 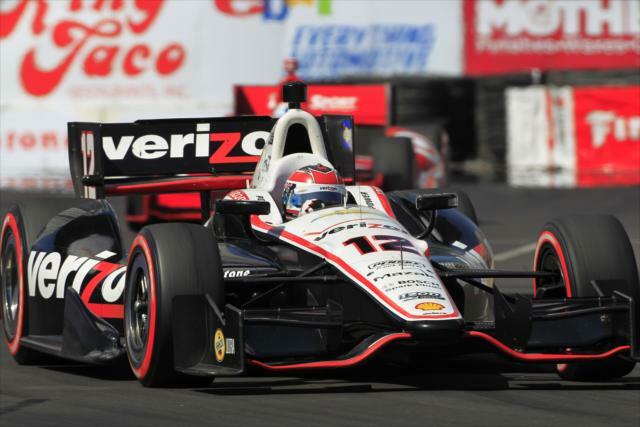 "We really didn’t think it was possible to win from 12th place because it was a two-stop race, but never say never," said Power, who two weeks earlier charged from qualifying ninth to win on the 2.38-mile Barber Motorsports Park road course. 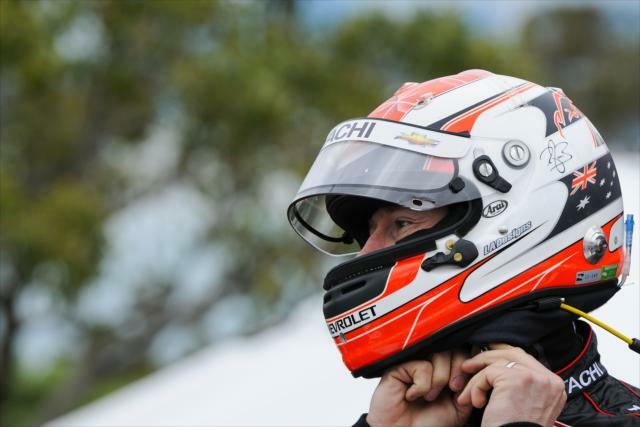 "Once again, good strategy with (strategist) Tim (Cindric), Dave (Faustino), my engineer, and all the boys we overcame a 10-spot penalty. 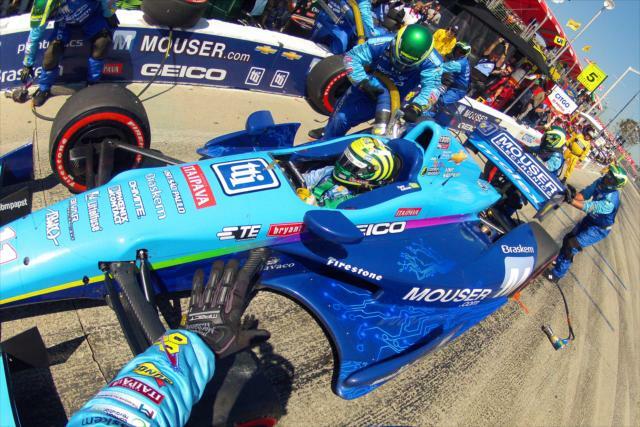 "It was just amazing that Simon did three stops and I did two stops, like two different strategies. 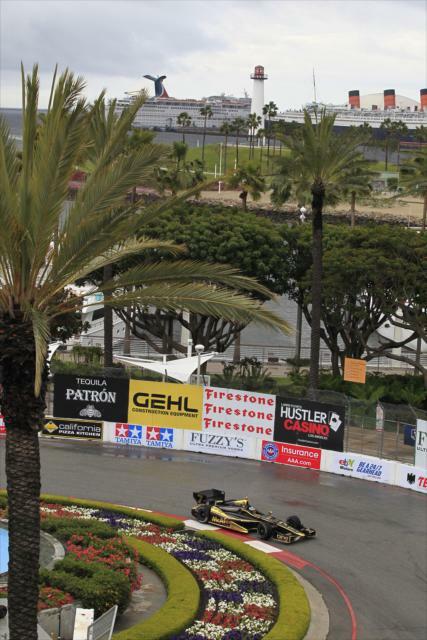 Obviously he could run hard the whole time and not save fuel, and I saved fuel and did the best lap time I could. 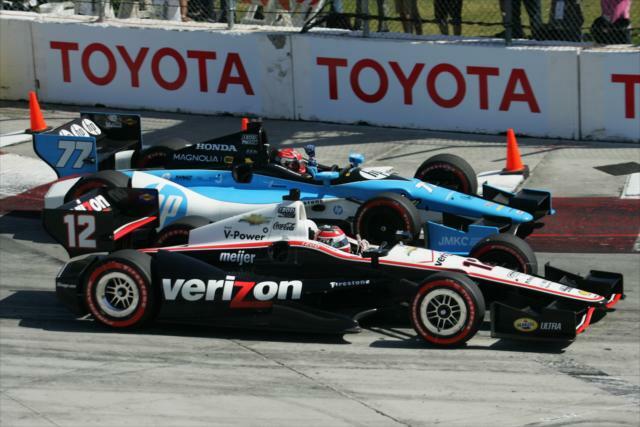 And the result was very similar. 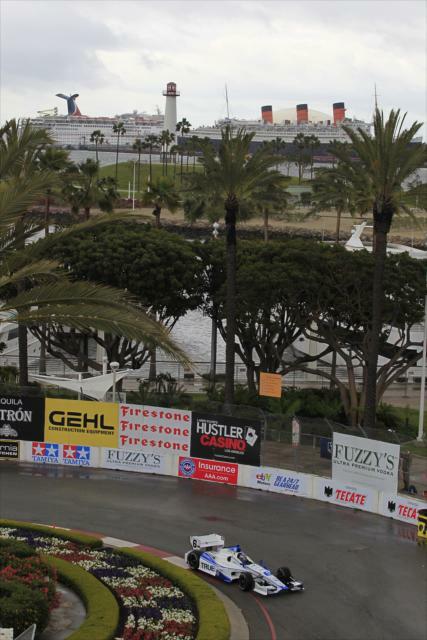 There was hardly any time between us as we crossed the finish line. 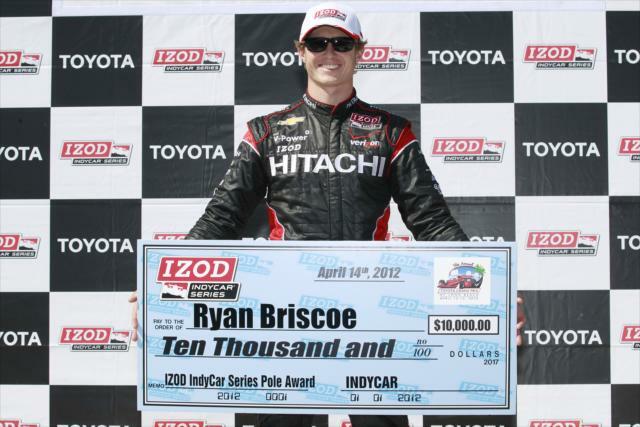 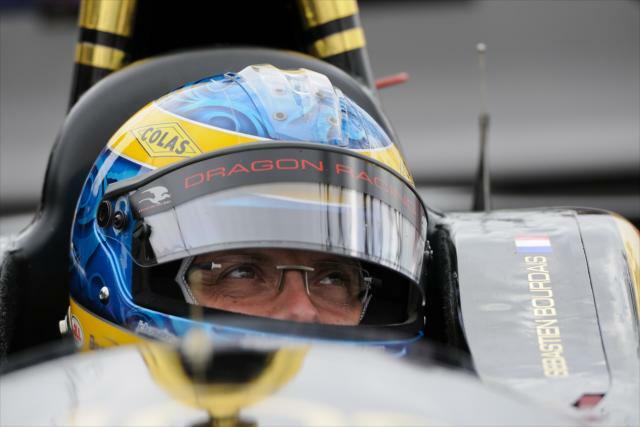 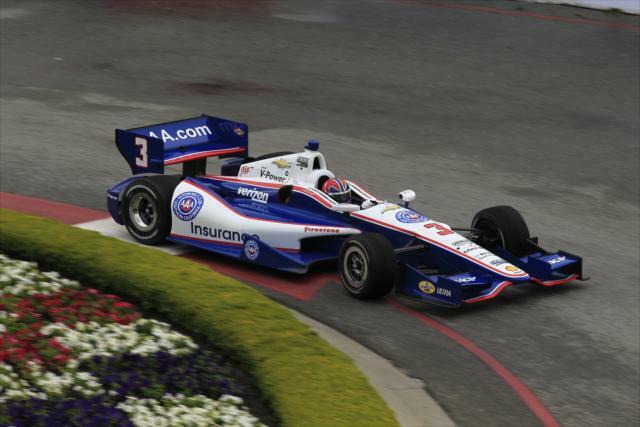 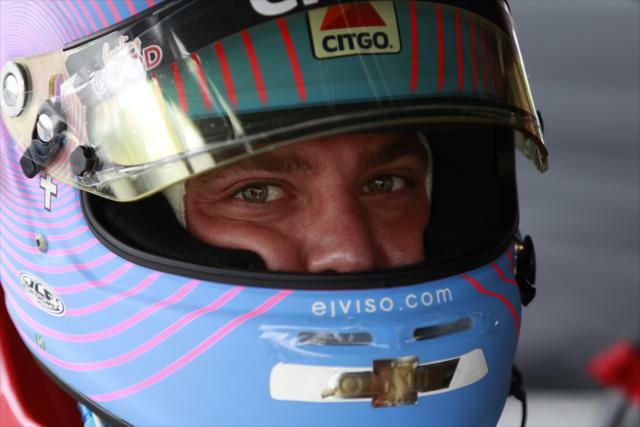 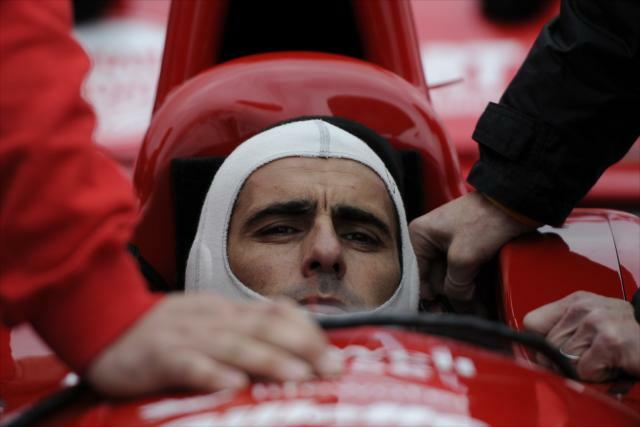 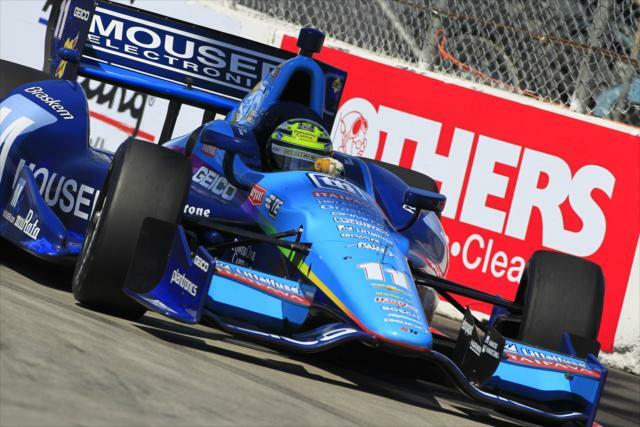 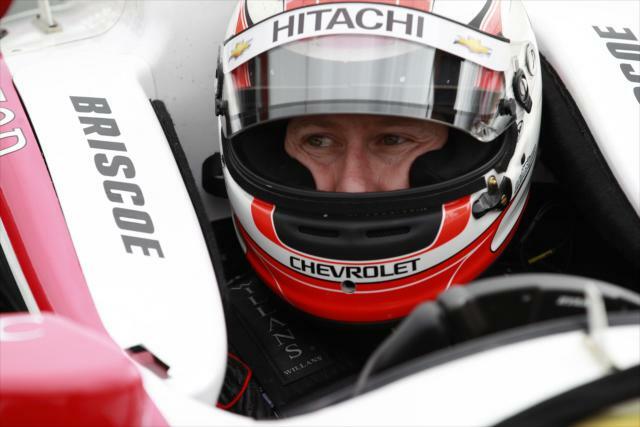 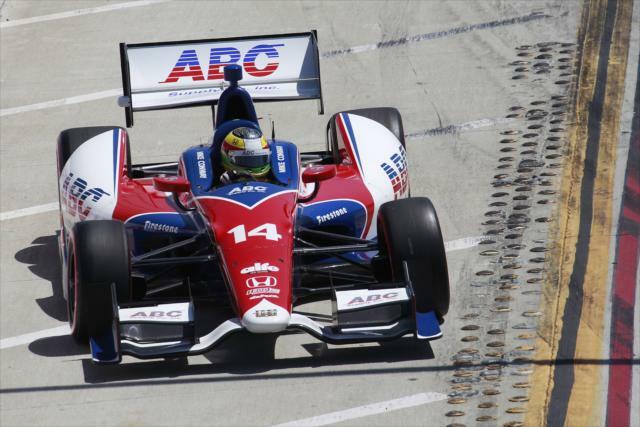 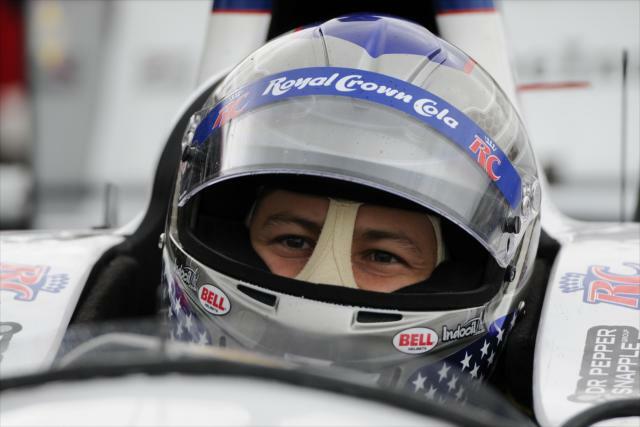 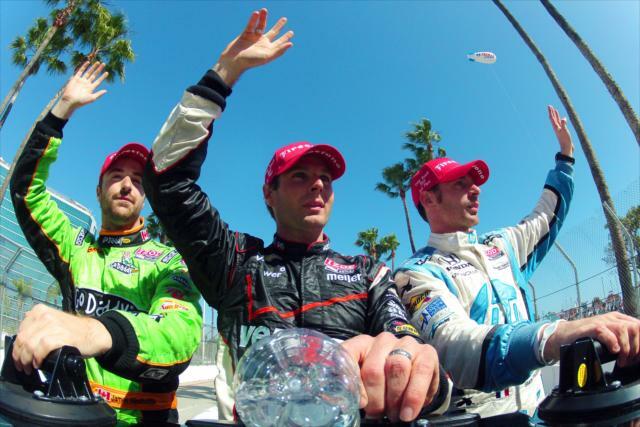 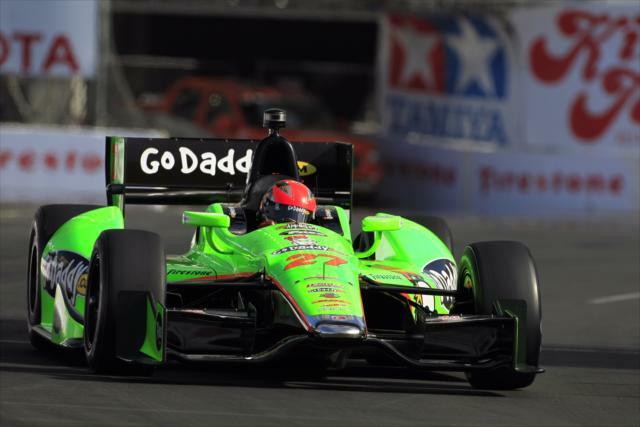 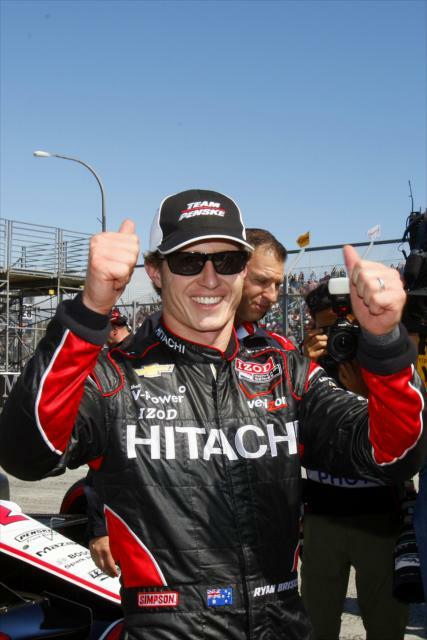 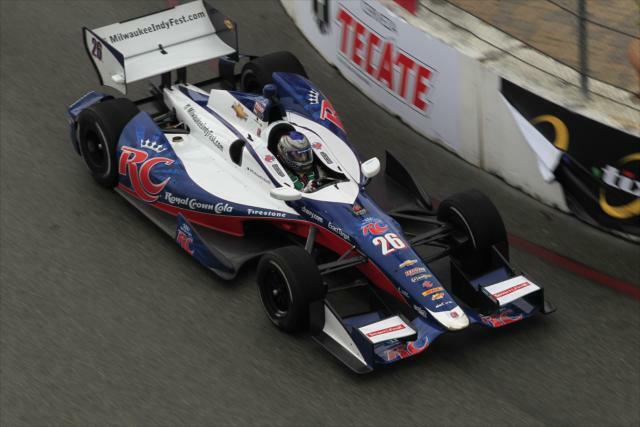 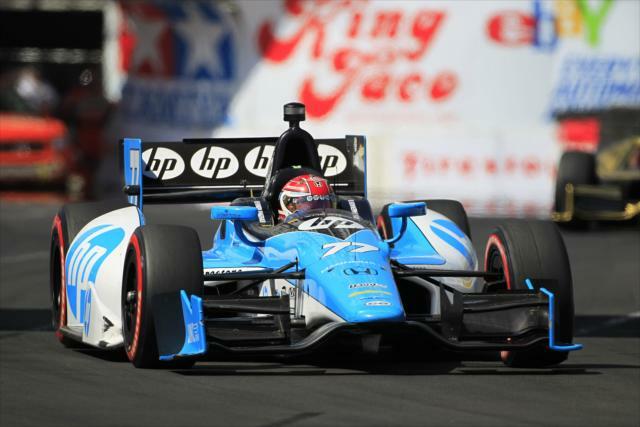 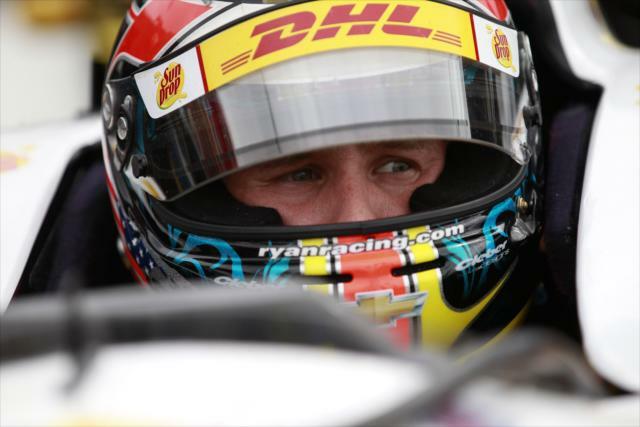 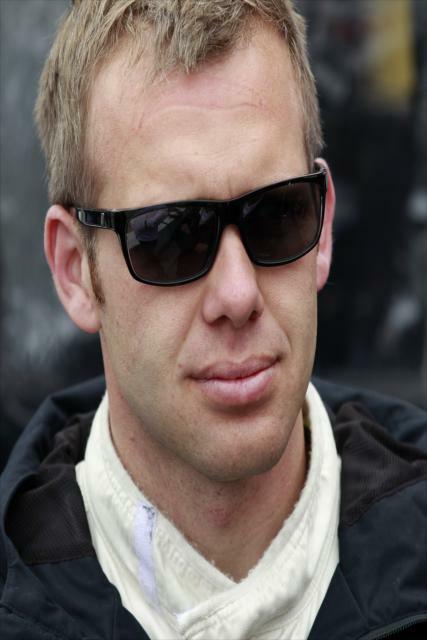 "It's just always a surprise in IndyCar, I think. 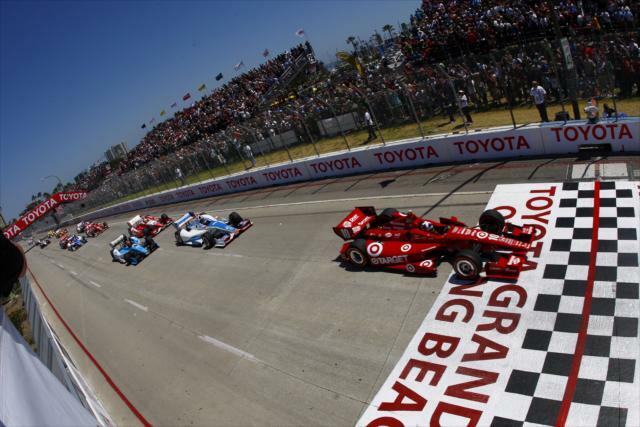 You can never predict. 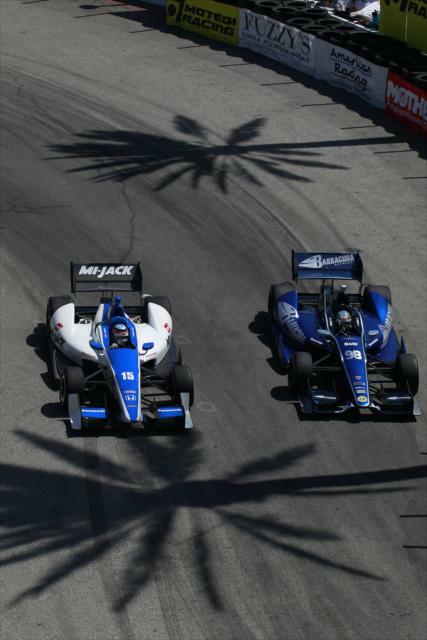 You can never assume going into a race. 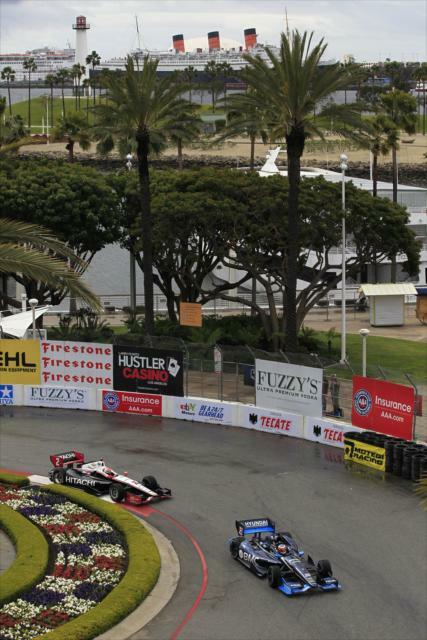 You just have to be smart as it plays out." 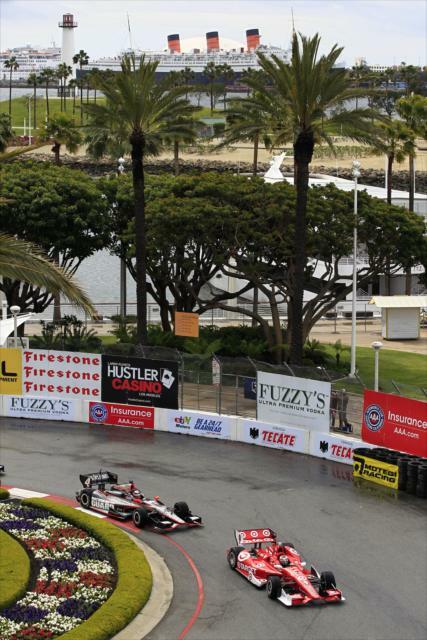 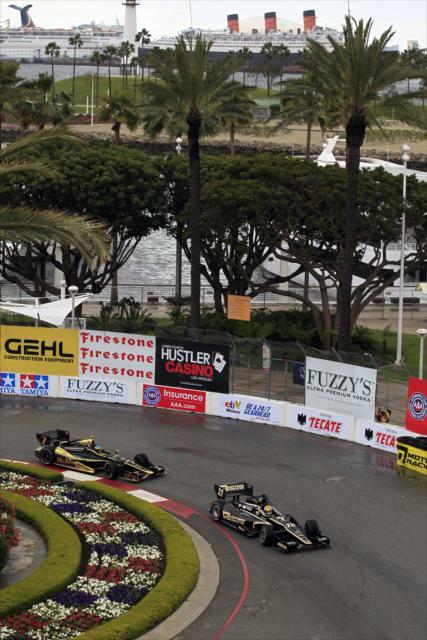 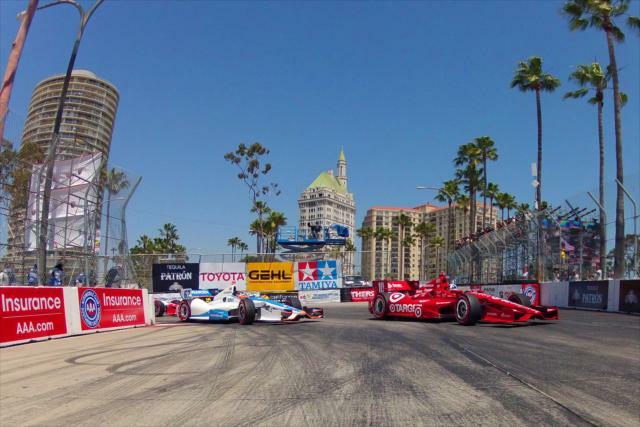 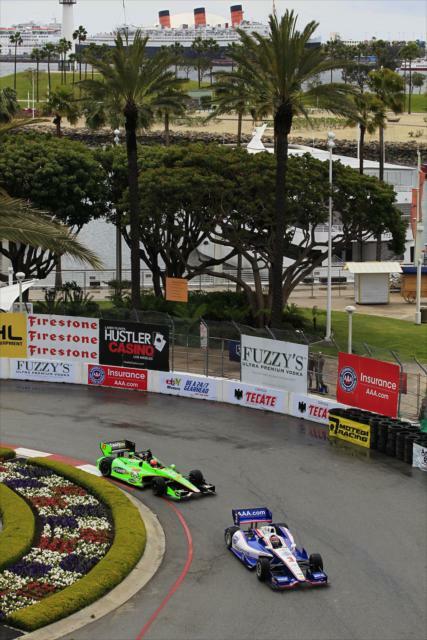 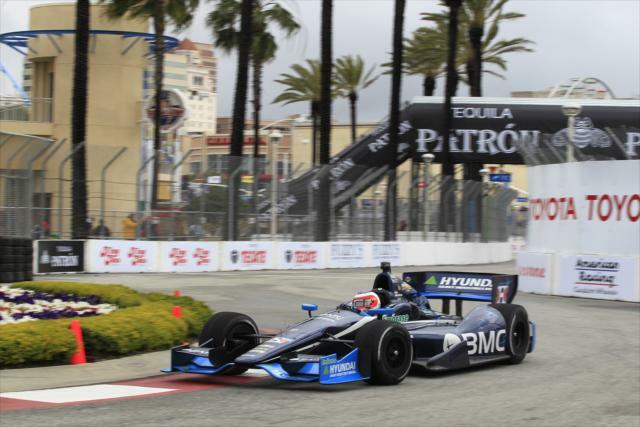 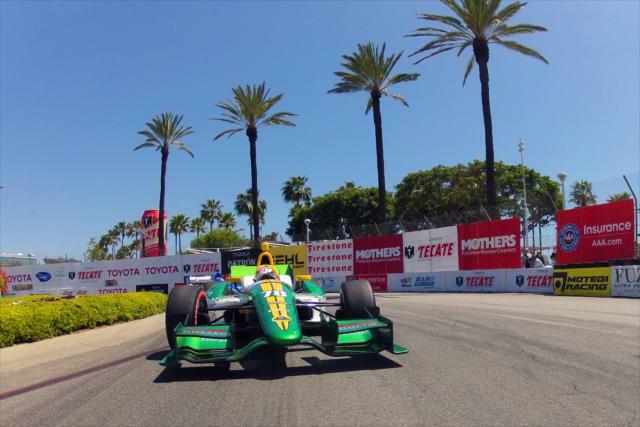 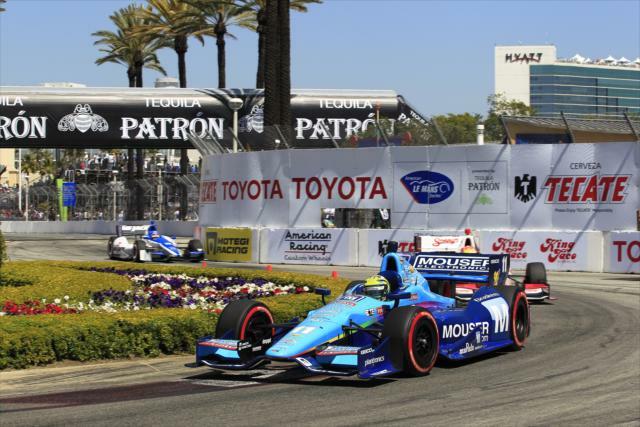 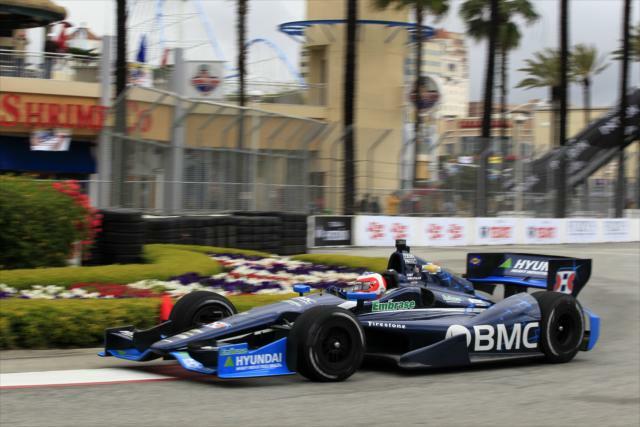 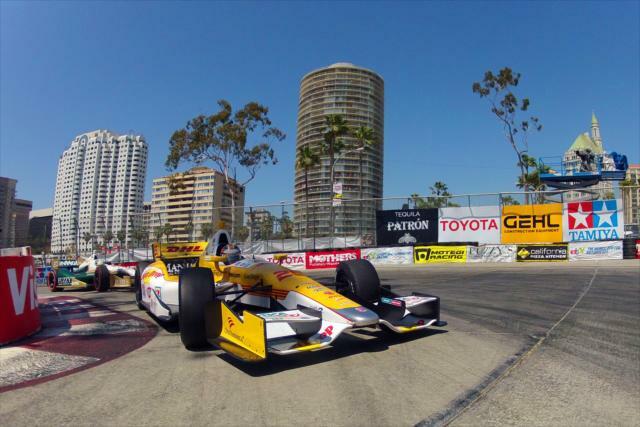 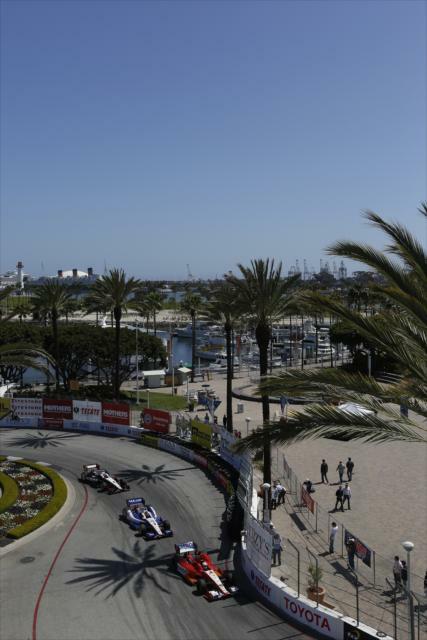 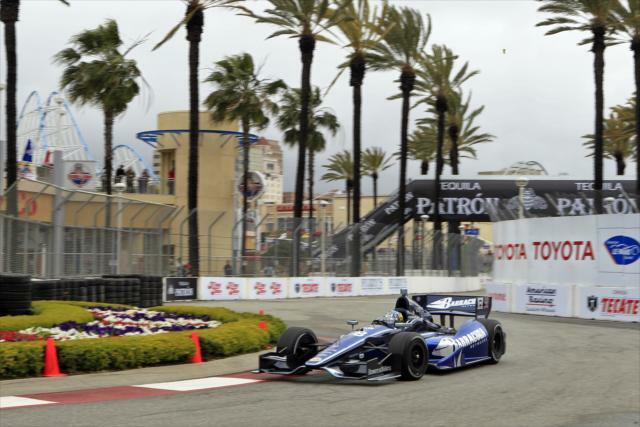 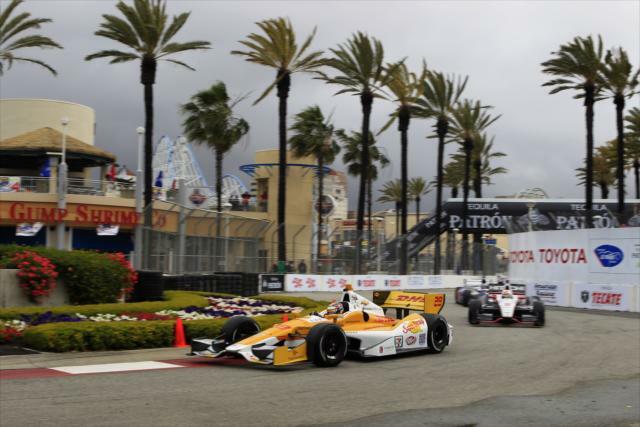 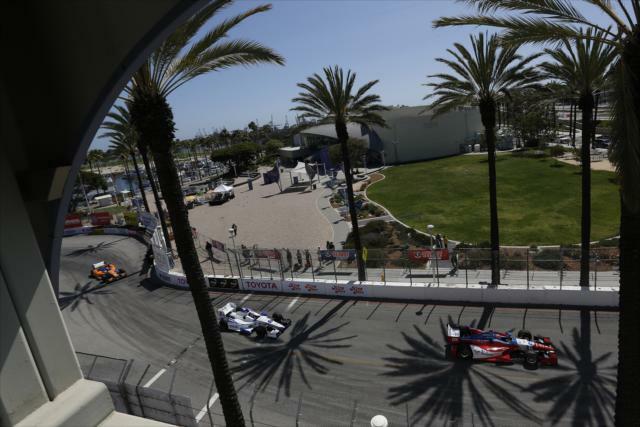 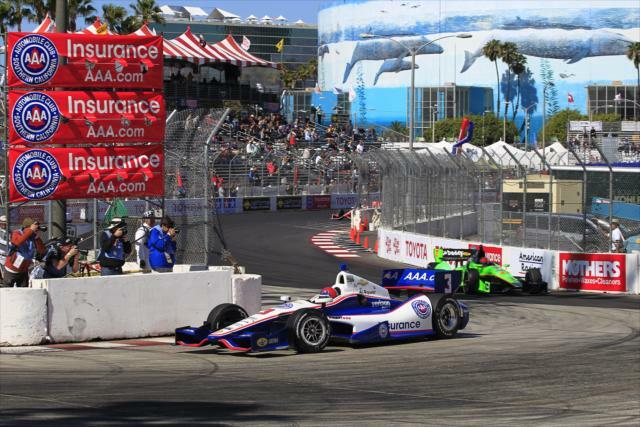 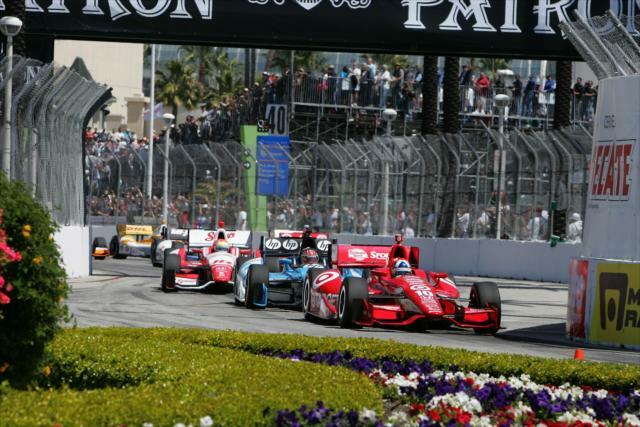 The 1.968-mile, 12-turn temporary street circuit encircles the Long Beach Convention Center -- which houses a Family Fun Zone and numerous displays during the race weekend -- and runs down scenic Shoreline Drive. 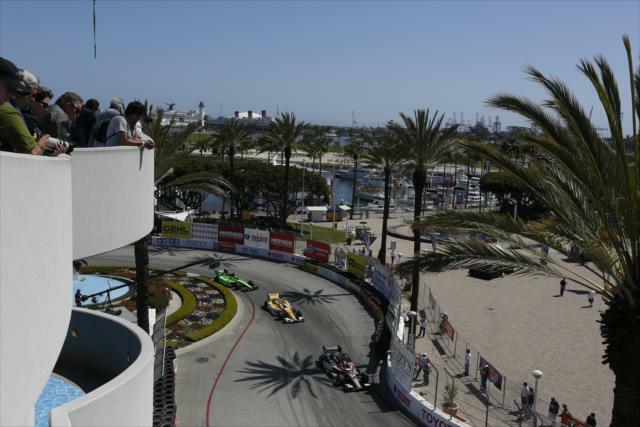 It offers numerous overtaking opportunities, including Turn 1, getting the hairpin turn just before the frontstretch right is critical.